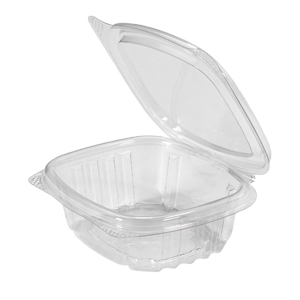 At Genpak, we believe in designing products that may be used in a variety of applications. 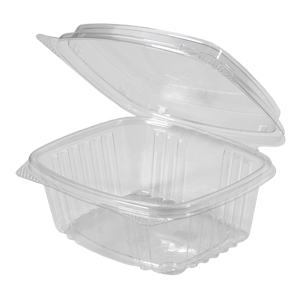 Our AD Deli container line has to be one of our most successful designs when it comes to this. 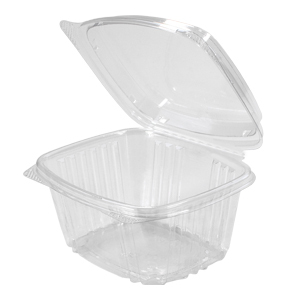 From the deli counter to the bakery table and everything in between our clear hinged deli containers have been used for every food application imaginable. 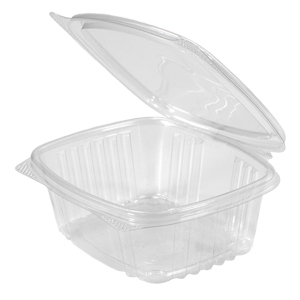 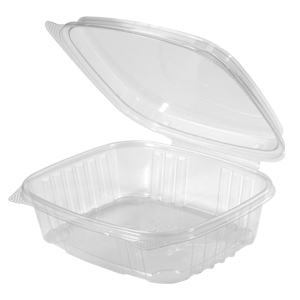 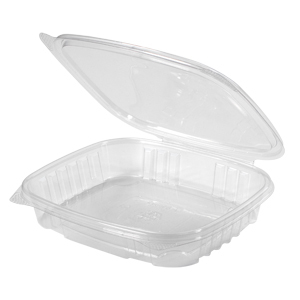 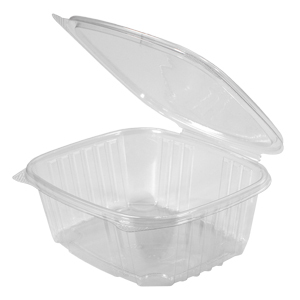 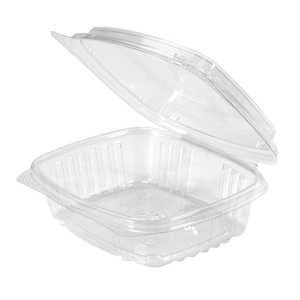 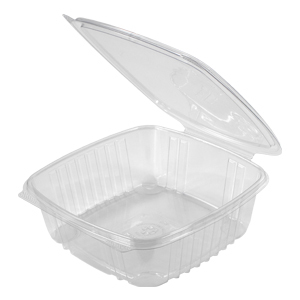 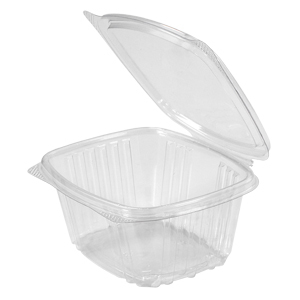 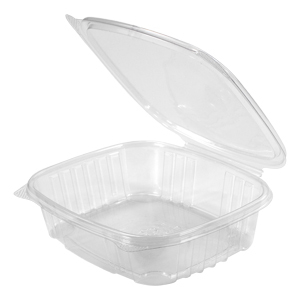 In early 2007 we began manufacturing our deli containers utilizing Post Consumer Recycled plastic. 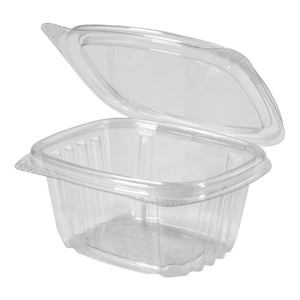 Since then, that program has accelerated and we now use a minimum of 30% PCR content per deli container. 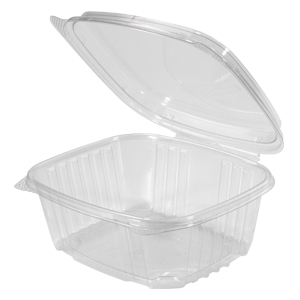 Annually, we save more than 10 million pounds of virgin PET (and growing) by using PCR resin. 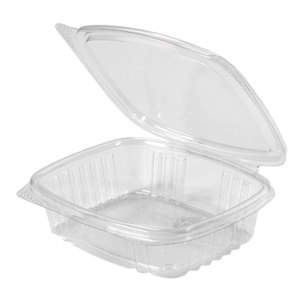 That's the equivalent of diverting nearly 350 million clear plastic water bottles from landfills! 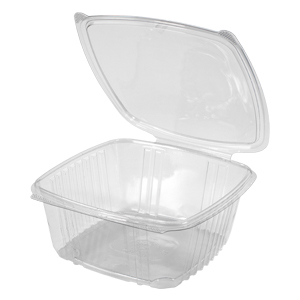 Length: 20.667" Width: 15.625" Height: 9.000"
Length: 21.000" Width: 10.250" Height: 11.500"
Length: 21.625" Width: 10.250" Height: 11.500"
Length: 22.200" Width: 10.250" Height: 11.500"
Length: 22.000" Width: 13.333" Height: 14.875"
Length: 22.750" Width: 13.250" Height: 14.875"
Length: 22.000" Width: 16.875" Height: 15.875"
Length: 23.875" Width: 16.875" Height: 15.875"